Maybe not with the scale, but definitely the buzz of the Olympics, comes Varsity 2017. The annual competition isn’t far away now but for many, this is all new. For the uninitiated, here’s the info you need to know. Varsity is an ongoing rivalry between two universities, typically one which is in the same area. Oxford and Cambridge have one of the most famous and long-running rivalries, with their first sporting fixture being a cricket match held in 1827! 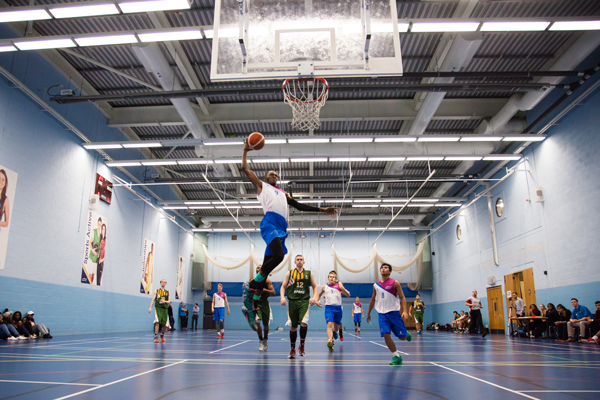 The rivalry between Coventry University and Warwick was officially ignited in recurring competition 27 years ago and it’s bigger than ever before. The 2017 competition will see over 30 sports contested over the week! It’s like the Olympics! There is so much to see across a number of locations. The sports you expect include football, basketball, hockey, tennis and athletics. Rugby is a highly contested match and the men’s rugby union match is the grand finale of the entire event – held at the Wasps and CCFC stadium in the Ricoh Arena. The ice hockey too is held at the stadium (used by the Coventry Blaze) which is actually in Coventry city centre and so a must-see event. Events you may not have expected include: snow sports, equestrian, karting, taekwondo, fencing and even ultimate frisbee! There’ll definitely be something you’ve never seen before and when better than now to be a spectator and support the Coventry University team?! I’m sold! But how do I get to some of the events? So there are many events taking place in Coventry city centre including the Planet Ice at the Skydome, Rileys, which is just past the Skydome and Priory Hall. The rugby will of course happen at the Ricoh Arena, which is accessible via the number 4 bus. Athletics will be held at War Memorial Park, which is only about a ten minute walk from town. Coventry University’s ‘The Place’ in Westwood Heath will see the hockey and football hosted there. Those not driving can get there via bus 87. Warwick University will, of course, also host many sports, but there’s many buses that can get you there if you’re not driving, including the 11, 43 and 60. There will also be travel available but it’s yet to be confirmed. Stay tuned to CUSU for more info. ‘The ‘Big Ticket’ is the one most will want. That one is like the one Charlie received from the factory but without the chocolate. The Big Ticket will get you into the ice hockey showcase opener, the rugby game at the Ricoh as well as the Wasps rugby game (back to back) and into the after party at the Empire, as well as a t-shirt and a few goodies. All this for £20, which is incidentally the normal price of a ticket just to watch a Wasps game, so a bargain! As for all other events – football, swimming, taekwondo, fencing, etc. – they’re all free to attend! That’s right. It’s costs you nothing so you have no excuse to cheer on your fellow students! Be a part of the atmosphere and the buzz and let’s give our athletes the support they deserve! For more information and to buy your tickets, visit the tickets page on CUSU’s website. #Trending, *Freshers*, CUSU, Events, Get Involved!, Join Us, Sports at Coventry, Student Life, Why Cov Uni?